It is mid-July and our summer libation list is growing. We are pleased to bring you Sparkling Peach Sangria which is perfect for a weekend rooftop get together with friends. Stir in wine, sparkling water, and some ice. *Recipe by Georgia Peach Council. If you would like to serve a few light sides with your sangria, we have just the dishes for you. 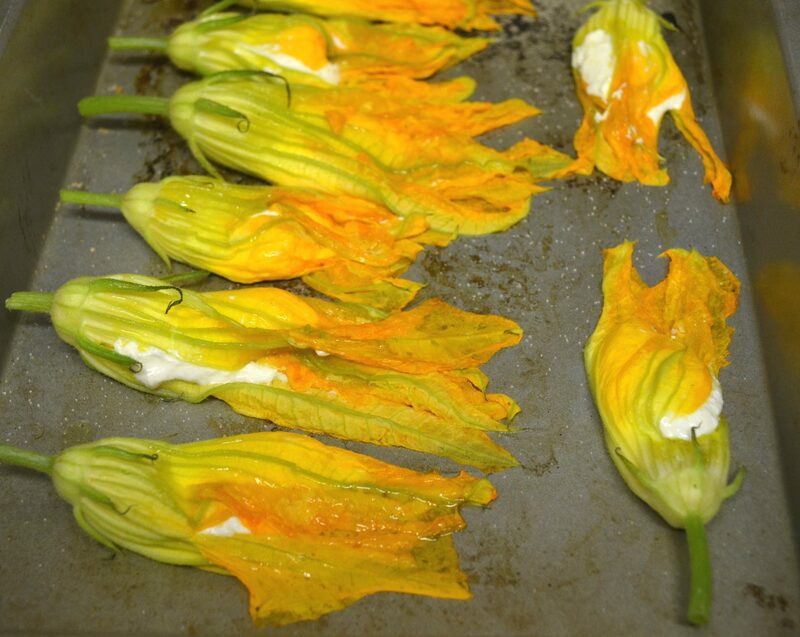 First on the menu are these delicate ricotta stuffed zucchini flowers. You can pick the flowers up at most of the green markets found throughout the city. Gently clean the outside and remove any local garden bugs. Carefully remove the inner stamen and then stuff with about 1 teaspoon of fresh ricotta cheese. Make a half twist on the top of the flower to close. Brush with a little extra virgin olive oil and add salt to taste. Bake in 250 F degree preheated oven for about 8 minutes until the flower starts to wilt and cheese is warmed through. Serve immediately. 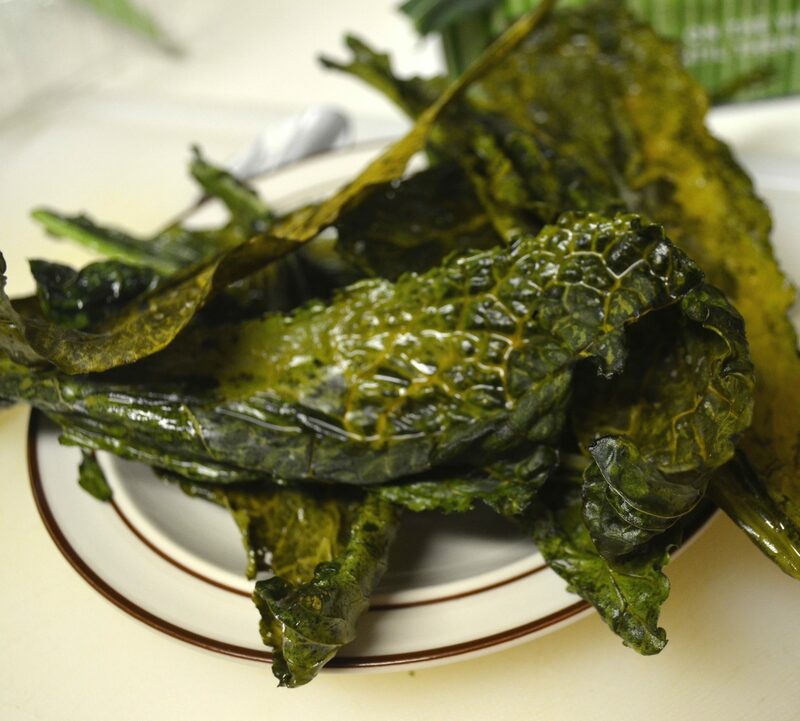 The second part of the party menu are these homemade Tuscan kale chips (also called Dinosaur kale) with truffle salt. The thick leaf of this kale and straight shape make it great for turning into a dried chip. Thoroughly wash and dry the kale. You can remove the inner stem if you would like or use smaller Tuscan kale and you won’t need to remove the stem. Add kale to a bowl and drizzle with a little extra virgin olive oil. Toss to evenly coat. Lay on baking sheets but do not overlap. Sprinkle a little truffle salt on top of the kale before placing in the a 250 F degree preheated oven. Bake for 20-30 minutes or until kale is dry and crisp. For more leafy green chip recipes check out this list on The Kitchn. Is your apartment suffering from ‘predecessor chi’?